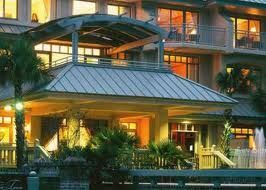 Imagine your own vacation condo at the luxurious Sea Pines Resort in Hilton Head for a price you can afford. This resort has served generations of owners and guests with a definitive experience that only Sea Pines can provide. 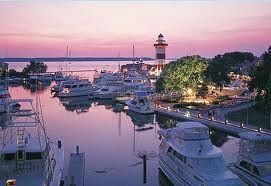 When you buy a Hilton Head timeshare here, you own part of this amazing legacy. Your Sea Pines Resort timeshare will have spectacular views of the Atlantic Ocean or Calibogue Sound and be just steps away from excellent restaurants, shopping and first class entertainment. You will choose from three levels of accommodation starting with a comfortable room for a golf weekend or a romantic getaway to a premier condominium villa with fully equipped kitchen and other high-quality amenities. You will also pick your location. If a vacation home on the beach is your ideal, you can have a condominium just a short walking distance from the Atlantic shore. There are private beaches where you can picnic, play or just relax. If boating is your preference, you may consider South Beach at the southernmost point of the island. With a New England-style fishing village and marina, you can enjoy boating, fishing and dolphin watching as well as the many outdoor entertainments during the summer. If you would prefer to reside in Harbour Town, you will enjoy outdoor live music during the summer and many aquatic activities such as parasailing and fishing. The North Forest Beach is on the ocean side of the island and offers villas with full access to all the amenities at Sea Pines Resort. When you buy a Hilton Head timeshare, you open the door to a luxury vacation every year for your whole family at a price you can afford. The resort was created with your comfort and entertainment in mind while offering you a wide selection of adventure activities. Contact Sea Pines Resort Specialist Today!